Home > 2013, Comps, Psicocomp, Setters, Setting Update	> Setting Update for 7/30 & 7/31 + Thanks Danny + Psicobloc! 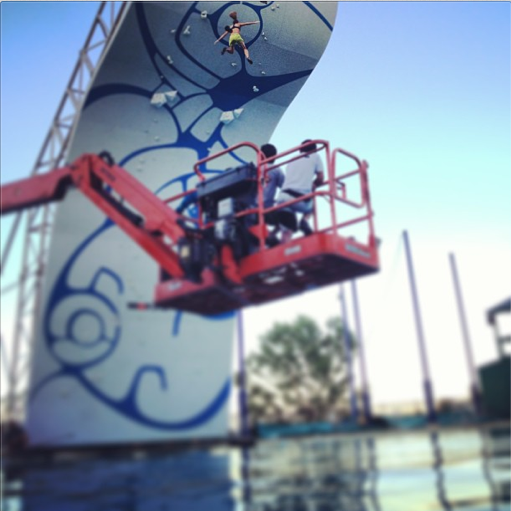 Setting Update for 7/30 & 7/31 + Thanks Danny + Psicobloc! The team was a bit short this week as Ian and I are out of town for the OIA Tradeshow (see below), and Joel is at his hospital job doing orientation. Danny, Jake, Connor, and Lily held down the fort and gave the Left Dojo a nice new fill with several big holds in new places and volumes for your climbing enjoyment. Danny reports 24 new problems from 2+ to 5+. Speaking of Danny, we are both happy (for him) and sad (for us) to report that Danny has got himself a shiny new job. Instead of his multiple days of doubles at his two jobs, Danny will now be working as a customer service rep for Salewa USA. He’ll still be around to help us set comps throughout this upcoming SBS season (and hopefully next season as well!) but he won’t be setting regularly anymore. You will still see him around the gym, so feel free to tell him you miss his setting. Ian Dory and I both came to the Outdoor Retailer Tradeshow in Salt Lake City. 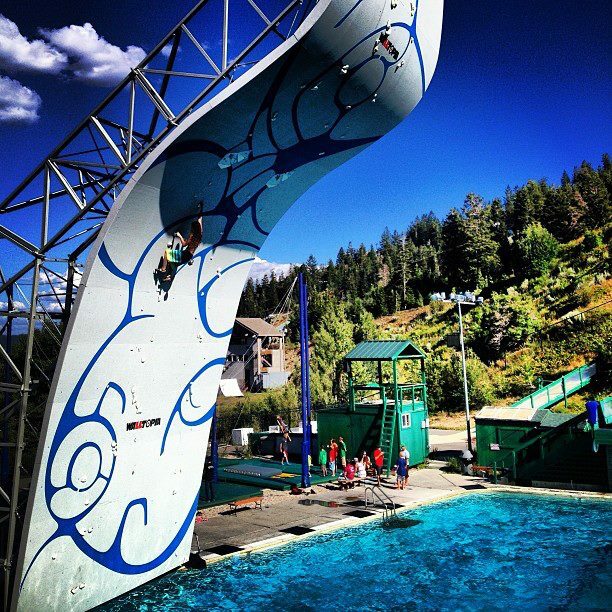 On my way into town on Tuesday I stopped off in Park City to check out the climbing wall for the Psicocomp Deep Water Soloing competition. 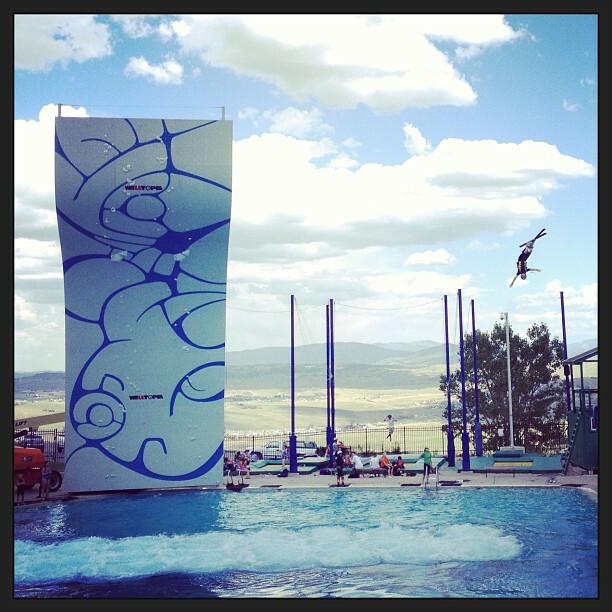 Everything about the comp is sweet–the wall is super pretty and super tall and it hangs over the landing pool for the Olympic Training Center ski ariels jumps. I could go on and on about the training center, with the jumps, the trampolines, the luge…but really you should just google it. Having a 52′ climbing wall hanging over the landing pool made it look like the best big-kid summer camp destination ever. 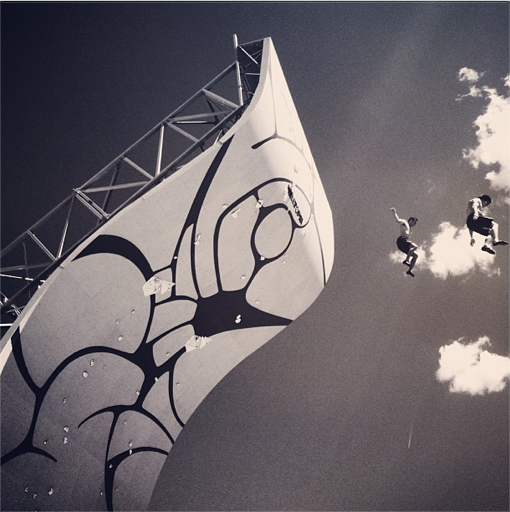 The wall, a trampoline, and a skier. I am hoping they will do this comp again every year, or maybe just install the wall on a permanent basis. I was lucky enough to get to forerun on Tuesday afternoon and it was one of the most fun experiences I’ve ever had. 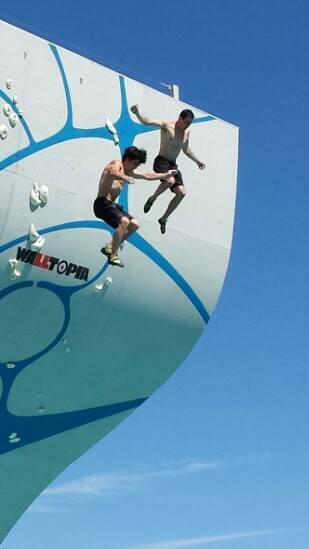 And obviously boys LIKE jumping off big things into water. Spot Setter and Coach Ian Dory is in the pro comp and he went out the next day with all the other competitors for practice and qualifiers. A bunch of people clawed their way over the top and took the jump. Here’re are two great pictures of Ian and Jon Cardwell jumping together. Ian Dory and Jon Cardwell jumping from the top of the wall. If you’re not lucky enough to be in SLC you can watch the live feed from LT11. If you are lucky enough to be in SLC you should go to the comp, and do the citizen’s comp Sat/Sun (either or both, not sure). 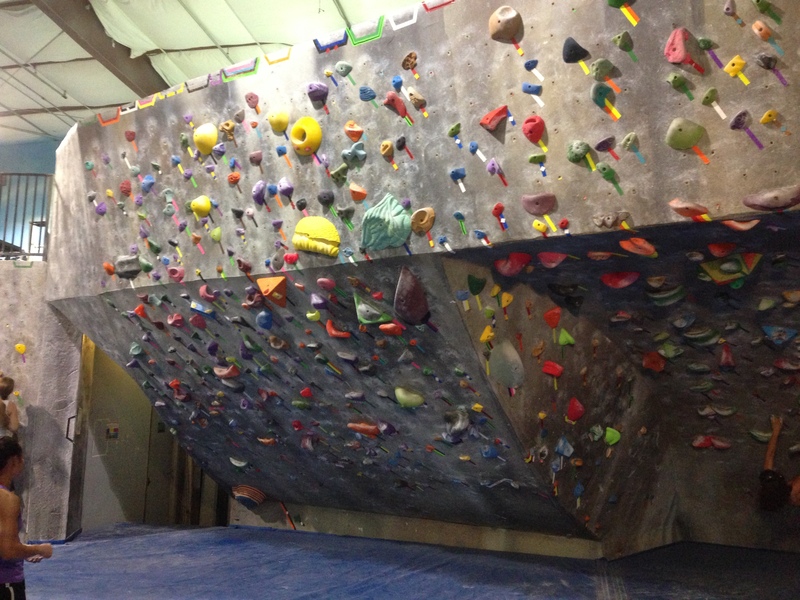 Climbing on this wall was SO MUCH FUN! 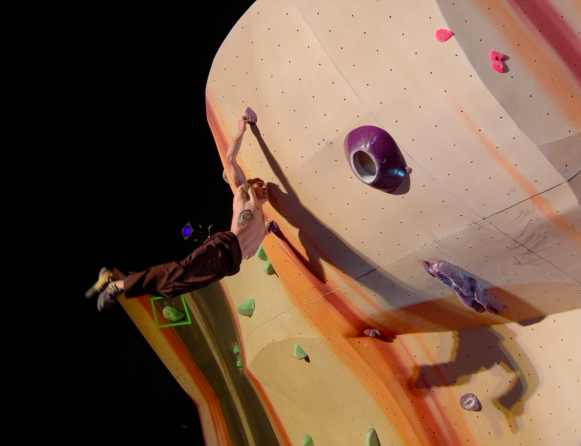 Psicocomp – Cool fall from Jimmy Webb Setting Update + NEW VOLUMES! Setting Update 8/7 and 8/8 - Font Boulder! + POTW + New Comments System + Top Outs?! Makita 18 volt Lithium Ion impact driver/drill kits on sale at Amazon.com!